So, I’ve been preparing for a big licensing exam for the last two and a half months, and in recent weeks my procrastination in studying had gotten out of control. I came across Lotus Wei around the same time I was fed up with my procrastination and inevitable internet holes and I decided to pull the trigger because the reviews on Lotus Wei’s site were just so positive. I picked up Inspired Action because its aimed for those experiencing procrastination, lack of follow through, feeling stuck, writer’s block and indecisiveness. The mists are allegedly suppose to help you experience creativity, innovation, decisiveness, motivation, drive and follow through. I thought why not. 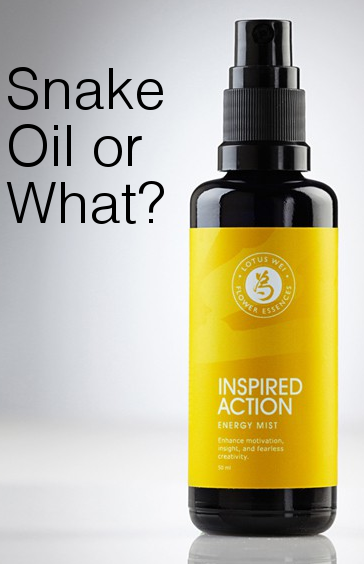 So I picked up a bottle of the Inspired Action Mist and the Inner Peace Mist because I had a serious coupon, and each of them was way way less than the original $40 price tag. Welllllllllllll. Around the same time or a few days after I started repeatedly misting myself several times a day (I work from home so the misting is not a problem) I noticed a shift. Seriously. I really started getting to work and not avoiding the things I had been avoiding for so long. Now could it be that because I got the mist I set the intention to stop procrastinating? Sure, but it could also be the mist I can only describe as earthy, lemon seltzer scented. Since there is no way to know, I think I’ll keep misting my heart out until I find a reason not to. Also, the Inner Peace Mist which I mist on right before bed, smells incredible and since using it I notice that I sleep a lot better too. Interesting. If you are unsure about these mists, Lotus Wei has a great mini kit where you can sample all of the Mists but in mini form. Oh wow, Katie, that is so cool. I will have to check out those apps for sure! So glad you liked the post! Lotus Wei mists are quite amazing!